Through a well-documented and extensive article, our Sangha mate , journalist and writer Luis Landeira, publishes in Jot Down Magazine the experience of Leonard Cohen as a zen monk. 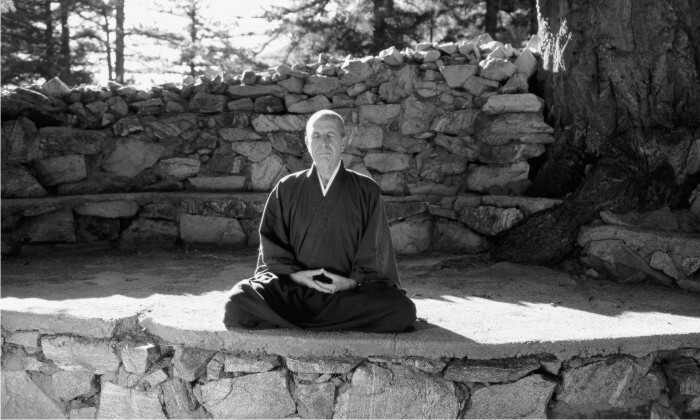 After a musical tour that left him exhausted, in 1994 Leonard Cohen, practicing since the early 70’s, decided to retire to the Mount Baldy Zen Center in Los Angeles, directed by Master Joshua Sasaki. For two years, the poet and composer participated as any other member of the Sangha, doing zazen and combining it with the samu: cutting vegetables, fixing the garden or cleaning the bathrooms. On August 9, 1996 he was ordained a Zen monk, and was the secretary and assistant of his teacher for another three years. The article is a good exposition of how zazen can penetrate the life of a person and how it ends up being a space to find peace and spirituality, besides allowing or stimulating creativity. Shortly after leaving the temple, Cohen published a new album with 10 songs and a book of poems, all created during his years of intense Zen practice. Throughout the article, Landeira shows the more spiritual side of Leonard Cohen who knew how to combine it with his Hebrew roots. Through the texts of other religious traditions and speeches by Dogen and other teachers such as Barbara Kosen, the journalist shows us a complete picture of the poet’s deep involvement in the Buddhist philosophy and way of life of Zen, the Middle Way.